Make an impact with eye-catching signs built to last. Since 1989, we’ve been crafting the highest-quality corporate signs, plaques and architectural sign letters in the industry. 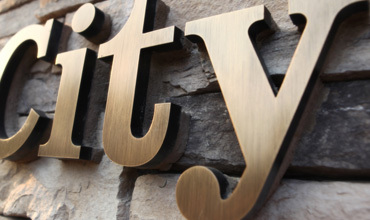 Build your brand with high-quality custom lobby signs made from architectural-grade materials and inspired designs. 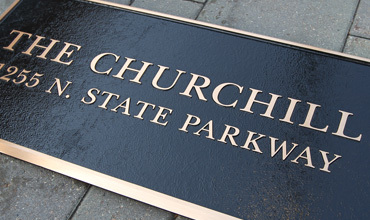 Honor, dedicate and create a lasting legacy with cast bronze and metal plaques, whether it’s a traditional or modern style. 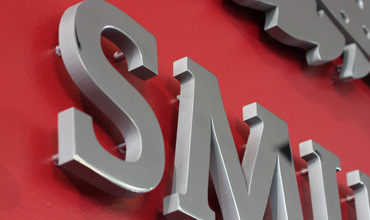 Whether you choose cut metal, cast metal or fabricated stainless, our architectural sign letters are built to last. 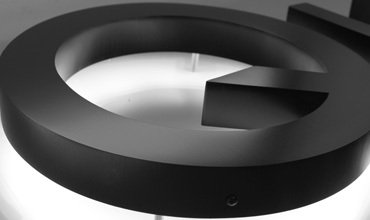 When you want your business and brand to stand out, choose from our exterior lighted sign options. Get noticed with stunning, full-color wall and window vinyl graphics. Add sophistication and privacy with etched glass vinyl film. Use our quote form to describe your needs as thoroughly as you can. 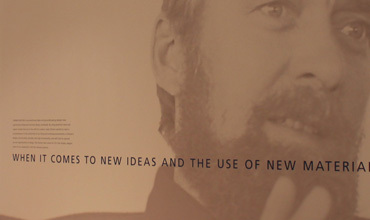 Tell us which examples from our portfolio inspired you – and we’ll get back to you shortly. Order online for faster lead times and discounted pricing if you’re choosing standard fonts and sizes. 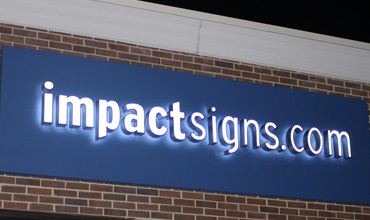 Impact Signs has professional installers in most major metro areas across the country who can carefully and precisely install your signs, plaques and graphics.